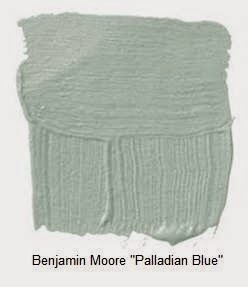 I Can't Live Without Palladian Blue by Ben Moore. It get's dark in Maine. Not regular dark, like dark at 3 in the afternoon and then the sun doesn't rise until 9am the next morning dark. It can get super depressing around here. When we moved into our house, the first thing I did was hire a pro to tackle the dark wood and dirty tan walls in our downstairs living space. I had the trim painted true white and the walls coated in Palladian Blue. For the record, I painted our bedrooms myself but when it comes to dealing with one hundred year old wood staircases and painting up a staircase, I hire a pro. I've found that to always be worth the money. With one winter under our belts and another barreling towards us, I am confident that the light, fresh shade of the walls keeps whatever light there is radiating through our home. I rarely take a paint color from one house to another (there are just too many fab shades out there to stick with the same boring pallet!) but I think Palladian may make a repeat appearance in all of our future houses. We're off to Bar Harbor to get our tourist on. Brace yourselves for a billion Instas! It really is a beautiful color!!! I'm going to keep that one in mind when it comes time to paint our house...which currently doesn't exist lol! Love love that color! Especially with the white trim. Have fun this weekend! I love the difference the color and white trim make! 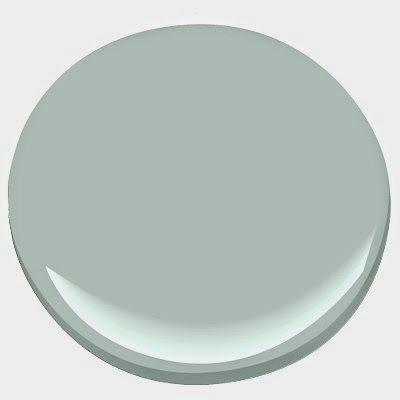 Love this color and so glad you updated the dark with white. Girl I am here for you when your winter hits - I don't know how you do it!! Love this color! It looks so classic yet fresh.